‘Why’ is the most important question that can be asked in an aquatics setting, by any person in the organization. Asking “Why” leads to gaining knowledge. Not IF but WHEN the systems that keep the pool clean and safe start to break down, wear out or get dirty, things can and will change. And they will likely change very, very quickly. This is where the “Why” comes in to play. “Why is that alarm light on?” – gets a problem dealt with sooner rather than later, limiting the impact. 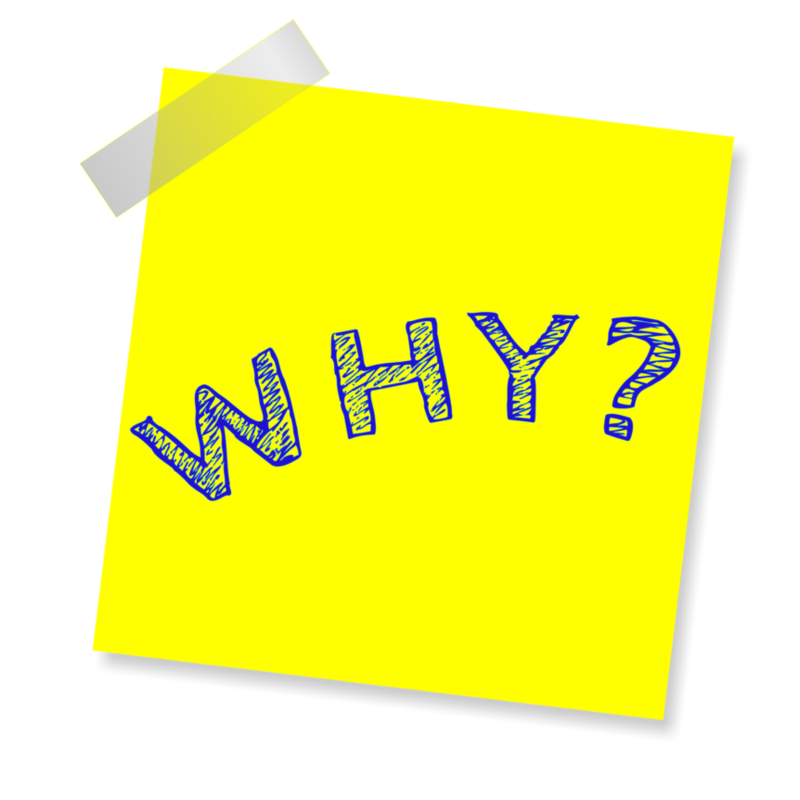 Asking “Why?” can be the difference between a minor blip in the log sheet, or a full shutdown complete with unhappy clients and lost revenue. All too often I find that guard staff, basically the front line of pool operation, are expected to take a few readings and watch the swimmers with little to no further responsibilities. This is somewhat understandable considering the gravity of the reason they are there in the first place, but there are plenty of times they can ask “Why?” and report it, without compromising their primary duties. A note on the log sheet, a report at end of shift, a quick call on the walkie talkie really are all it takes to get the “Why?” train rolling. If the guard staff are the front line, the facilities and maintenance staff are the cavalry, but I tend to find that facilities & maintenance staff are too busy with other projects to be around the pool long enough to notice a small change. Facilities staff, not unlike the cavalry, must be called in when things go awry. Any system or process that can get them in front of a problem sooner (like asking “Why?” early enough) can help to avoid a crisis and/or shutdown. Or at the very least, limit the overall impact. Like the facilities team, all too often I find that aquatics staff are super, super busy. Busy planning & conducting lessons, busy managing guard schedules, busy with payroll and budgets just busy, busy, busy. This usually means that they too have little time to notice the small changes until they are already building momentum and it becomes a full-on recovery effort. So, the only people directly around the pool for their entire shift are the guards, but they are not usually trained to ask “why”, and when a problem does finally arise, everybody else comes running in guns blazing to try and get it back under control. Well… it doesn’t. not really. But like many other things it is usually just explained with “That’s just how it is”. For myself, I find it odd that those staff members closest to the problems over the largest portions of the day are usually groomed to simply not pay attention to these things, even when nobody else has time to. Doing so helps to uncover issues (not just with the pool) and brings solutions to the forefront. If the whole situation were changed, and the front-line employees were given the training to look for changes, pay attention and report them instead of just waiting for something bad to happen (equipment failure, pool shutdown or injury, etc.) the facilities and Aquatics staff could be proactive and prevent the issue(s) in the first place. Seems almost like somebody else should have thought of this, years ago… right? They did! That’s where log sheets with checklists and guard walk throughs came from! In facilities that I have worked with where they have implemented training for their staff to be curious, to stay alert and to ask “Why” (often by giving them a checklist of things to inspect during shift) they tend to avoid many of the pitfalls that plague other facilities. So, if you want your pool to be the best it can be, my advice would be to look around, start asking “Why?” and then train your staff to do it as well.